If you're looking for a fun way to get in shape (and who isn't? ), Zumba classes are just the ticket. Zumba is an energetic mix of Latin dance and cardio, and classes are easily tailored to fit all skill levels. There are a number of great Zumba instructors all across Mississippi, and we've rounded up our 10 favorites! Salsa Mississippi is a dance and fitness studio Jackson offering a variety of classes. From salsa lessons to kickboxing, there's something for everyone here. 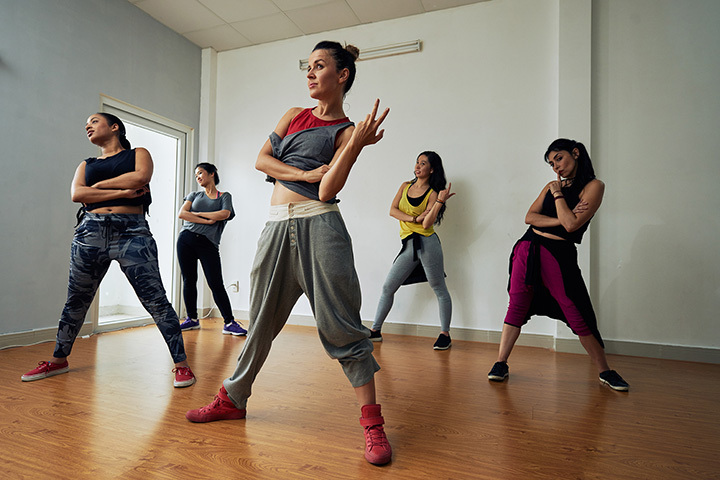 The Zumba classes cover a range of different dance styles, including salsa, hip hop, and line dancing, making it perfect for anyone who just wants to move. The Salvation Army Kroc Center is a mission-based community center. They're home to a full-sized gymnasium, a stadium complex, weight and exercise rooms, a splash pad, and even a two-story water slide! Zumba classes are offered Monday-Thursday, and there's even child care available for parents! HQ Fitness is a premier health club in North Mississippi, and they've been getting a lot of attention for their friendly, welcoming atmosphere. They were even voted DeSoto County's Best Gym for 2016 by the Desoto Times Tribune. All of the instructors are great, but if you get a chance to take a class from Gloria, don't pass it up. Whether you're already in great shape or you're not sure where to start, you'll find a supportive and encouraging team waiting to help you meet your goals at Pinnacle Training Center in Natchez. The Zumba class here is definitely a challenge—but you'll definitely be glad you gave it a shot! The slogan at Max Fitness DeSoto in Horn Lake is "Where Membership Here Means More,” and they strive to embody that by working with people on a personal level. They offer a complimentary personal fitness assessment with a 3D image of your goal to help motivate you. Their Zumba classes are a fun way to meet that goal without feeling like you're exercising! The Singing River Medical Park is committed to improving the quality of life all along the Gulf Coast. To further this goal, they offer over 60 weekly fitness classes, a pool, and a full cardio area at their Healthplex. You'll love taking your Zumba classes at this beautiful facility! Best Bodies of Meridian is a fitness center dedicated to bringing healthy lifestyles to Central Mississippi. Their classes are exclusively for women, and they have your busy schedule in mind—their classes are only 30 minutes long, so you can get a fun, complete workout fast! The Energy Club is a 24-hour fitness center in Long Beach. In addition to their workout equipment and a wide variety of group classes, this facility also offers a heated saltwater pool, a sauna, and a hot tub, so you can relax and ease your muscles after an invigorating Zumba class! Revolution Fitness is a fitness facility in Hattiesburg for people who are serious about getting in their best shape. Their trainers are passionate about helping people, and Christina's Zumba classes are always fun and exciting! As a bonus, RevFit offers discounts for students, military, law enforcement, and offshore workers. Prestige Fitness Club is located in Pass Christian, and they offer a number of classes and seminars to help even beginners feel comfortable and welcome. They emphasize the importance of educating their members about total body wellness. The aerobics rooms is newly renovated and is the perfect space for Zumba classes!